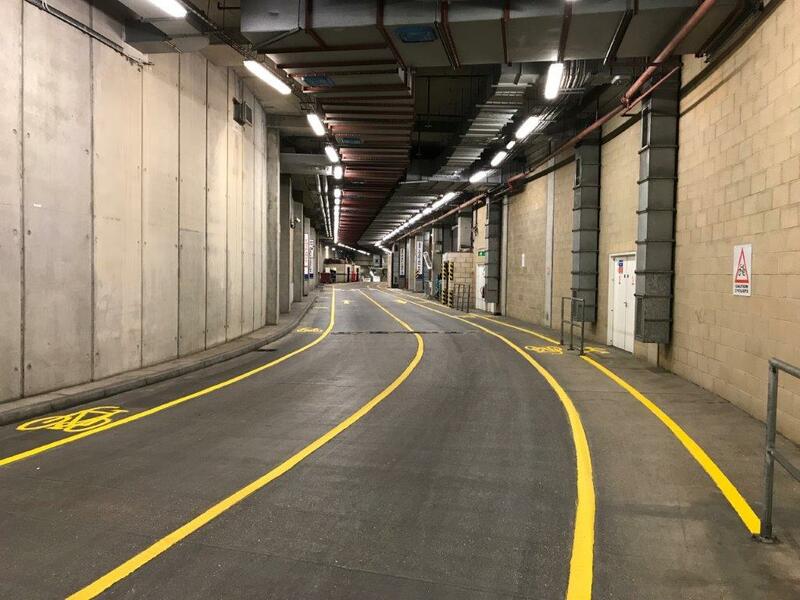 AJL operate Thermoplastic road marking screed crews and airless paint road marking spray crews using BS approved materials to apply white and yellow lines, arrows, symbols and miscellaneous marking to ashphalt and concrete surfaces. AJL Roadmarking have depots in Rye East Sussex, Croydon in South London and Chellaston Derbyshire which enables us to provide professional high quality road marking services to local authority and private sector clients anywhere in the Midlands, London and the South East. Our crews are all holders of or working towards NVQ Level 2 in road marking which allows AJL Roadmarking to handle any form of roadmarking contracts to the specifications set out in the Traffic Signs Manual Chapter 5.